Young Harriet and her brother Austin have always been scared of the quarry where their stone mason father works. So when they find him dead on the cold ground, they scarper quick smart and look for some help. 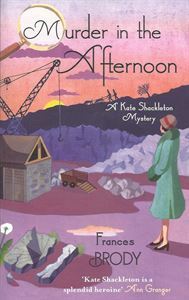 It seems like another unusual case requiring the expertise of Kate Shackleton. But for Kate this is one case where surprising family ties makes it her most dangerous - and delicate - yet . . .